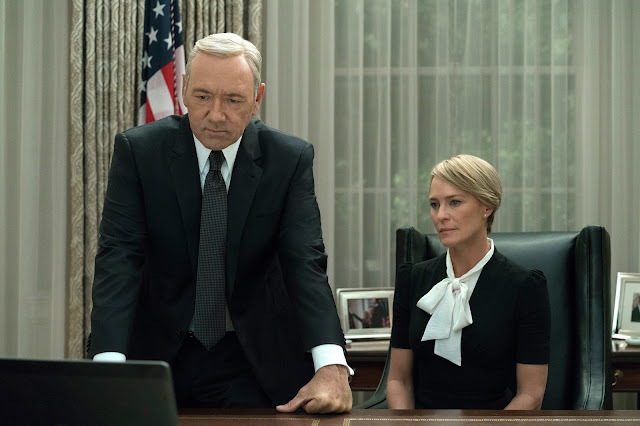 Netflix has canceled its political drama House of Cards in the wake of sexual assault controversy surrounding main actor Kevin Spacey. Netflix and production company Media Rights Capital said in a joint statement today that they are "deeply troubled" by the revelations by Star Trek actor Anthony Rapp that Spacey made unwanted sexual advances on him in 1986 when Rapp was 14 and Spacey was 26. The show is currently filming its sixth season to air in 2018, which is to be its last, apparently. "In response to last night's revelations, executives from both of our companies arrived in Baltimore this afternoon to meet with our cast and crew to ensure that they continue to feel safe and supported," reads a line from the statement. "As previously scheduled, Kevin Spacey is not working on set at this time." According to Deadline, Netflix and Media Rights Capital were looking to cancel House of Cards "a while ago" before today's announcement. Spaceyput out a statement on Twitter in which he said he is "beyond horrified" to hear about Rapp's story. Spacey said he does not recall the encounter, but acknowledges that, "If I did behave then as he describes, I owe him the sincerest apology for what would have been deeply inappropriate drunken behaviour." Spacey, who won an Oscar for American Beauty and The Usual Suspects, also used his statement to address his personal life. "As those closest to me know, in my life I have had relationships with both men and women. I have loved and had romantic encounters with men throughout my life, and I choose now to live as a gay man," Spacey said.